Pardee Hospital has achieved Milestone 3 on its journey toward performance excellence, based on a score earned during an extensive site visit to the Pardee Hospital campus. The accomplishment was recognized at the North Carolina Hospitals Association’s 2015 Winter Meeting in Cary, NC. Performance Excellence is an integrated approach to organizational management that creates sustainable cycles of improvement. The Baldrige criteria for Performance Excellence provide a framework and a means of assessment for organizations that adopt the approach. The criteria are named after Malcolm Baldrige, a proponent of quality management and the United States Secretary of Commerce from 1981-87. For years, Pardee Hospital has been at the top of lists denoting the safest, most affordable hospitals in the United States, winning HealthGrades Patient Safety Excellence Award™ four years running and taking seventh place in Consumer Reports magazine’s 2014 national rankings of the safest hospitals. Pardee was listed sixth in value in NC hospitals in 2013 by an independent consumer financial website, which cited Pardee’s high patient satisfaction rate—73 percent— and noted the organization’s commitment to quality, including certification to the ISO 9001:2008 standard. Used across business, education, nonprofit and healthcare sectors, ISO 9001:2008 facilitates the consistent, error-free delivery of goods and services to the customer. Pardee is the only hospital in the state of North Carolina to have achieved the certification. With a strong reputation for quality already well-established, applying performance excellence criteria was a natural next step for Pardee. The organization began its performance excellence journey in 2012, closely following the appointment of its current President and CEO, Jay Kirby. Kirby recognized the value that he, as a new executive, would gain from Baldrige’s top-level view of the systems and processes already in use. He saw the potential added benefit of bringing the entire organization into alignment under the Baldrige framework. 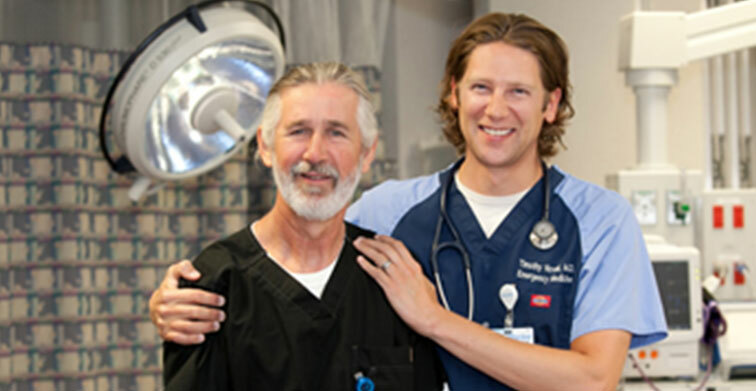 “Having Pardee Hospital receive a level 3 milestone during our first application, is a testament to the ability, passion and dedication of the men and women who work at this organization. This milestone underscores our commitment to continual improvement of quality and safety, while also providing the best value in health care to the region,” says Kirby. The rigorous application and feedback process highlighted the hospital’s strengths and identified opportunities for the organization to become even stronger. David Crist, Director of Process Innovation at Pardee, notes that the hospital received high marks for auditing its own processes and says that employee knowledge and ownership will be a strong focus in the coming year. Pardee employees will tackle this challenge by identifying different value streams within the organization and planning several years’ worth of improvement projects for each, identifying waste and improving efficiency in service, quality, growth and finance. Each cycle of learning contributes to a better overall experience for Pardee’s most important group of stakeholders: its patients.